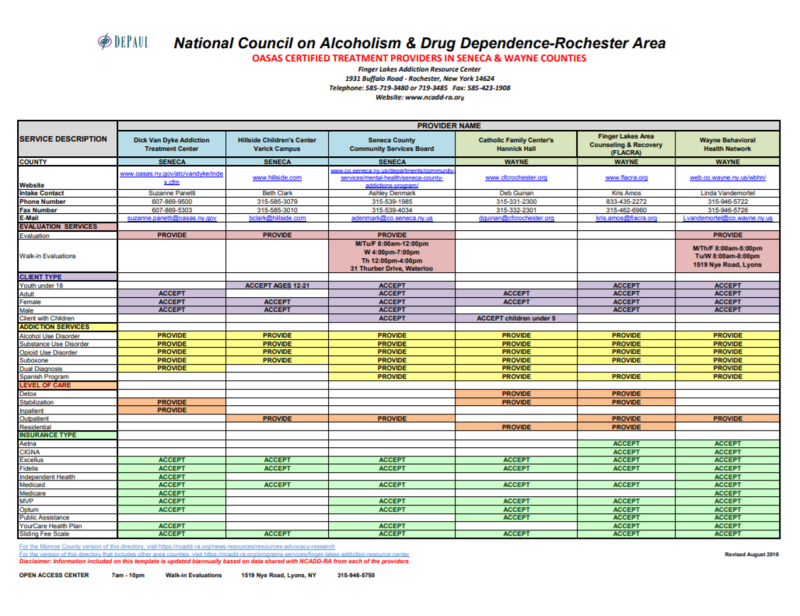 NCADD-RA’s Finger Lakes Addiction Resource Center (FLARC) seeks to effectively engage a multi-sector community partnership in the nine-county Finger Lakes Economic Development Zone. 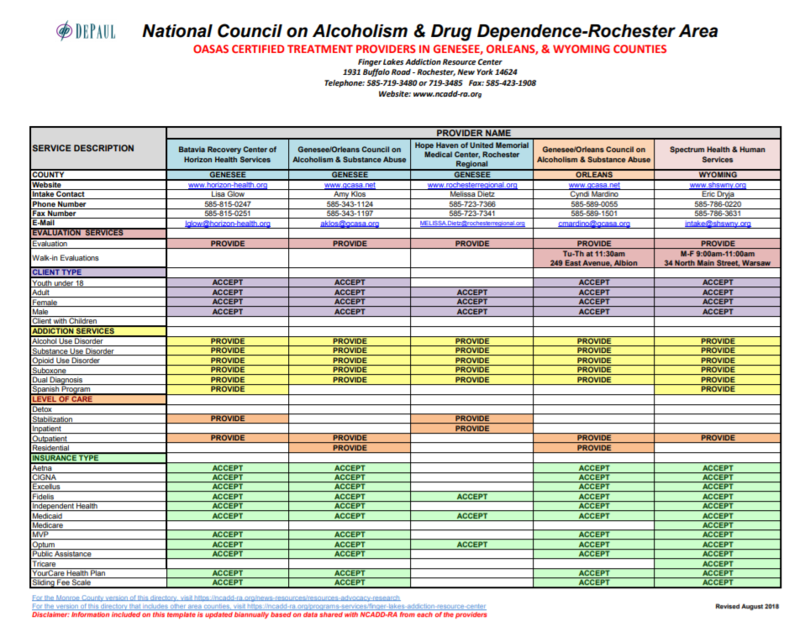 A primary goal is to identify existing community referral resources, identify any gaps in referral resources and to develop multiple substance use disorder referral resource directories for each county. 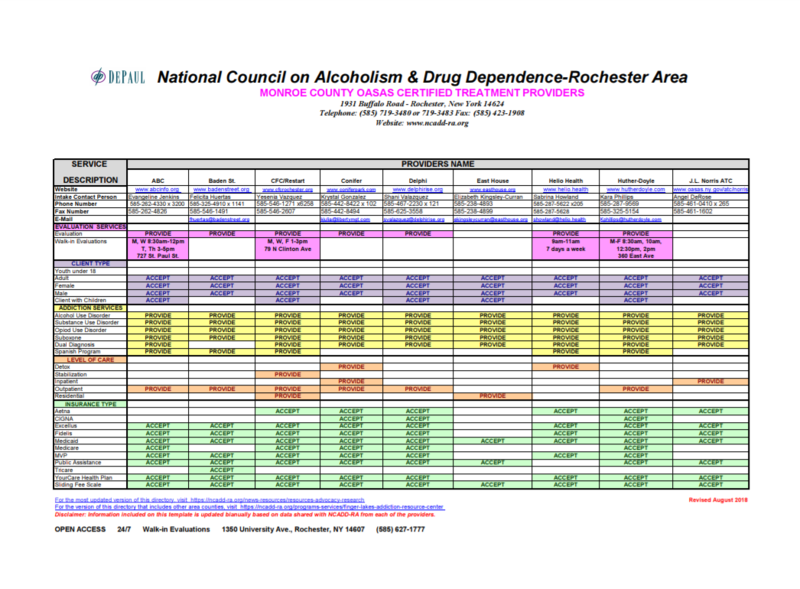 FLARC promotes substance use disorder community awareness through promotion of training, events and activities offered throughout the nine-county region by NCADD-RA and our partners. 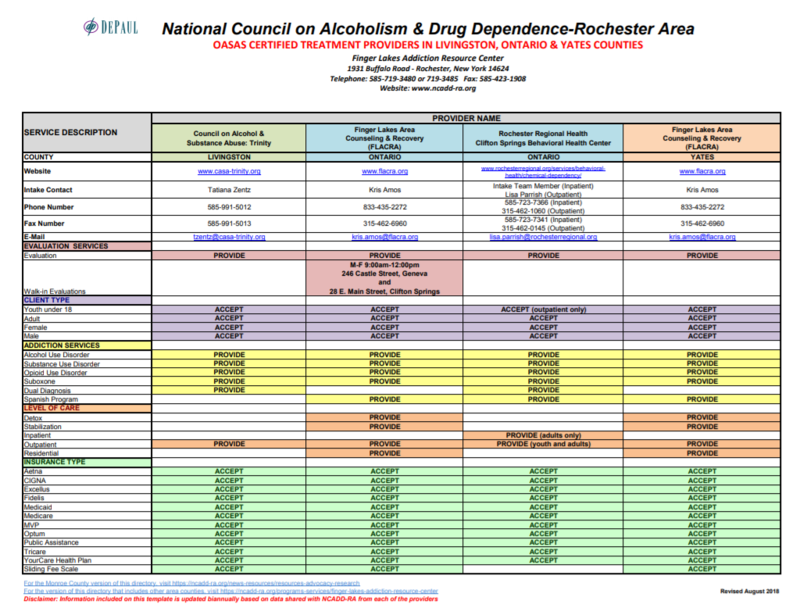 For more information on the Finger Lakes Addiction Resource Center, please contact Erin Egloff, Finger Lakes Addiction Resource Center Coordinator, at (585) 719-3485 or at eegloff@depaul.org or Jennifer Faringer, NCADD-RA Director, at (585) 719-3480 or jfaringer@depaul.org.